PLAY THE GAME - not the rules! Legacy Game Systems is a game development company specializing in augmented reality hardware. 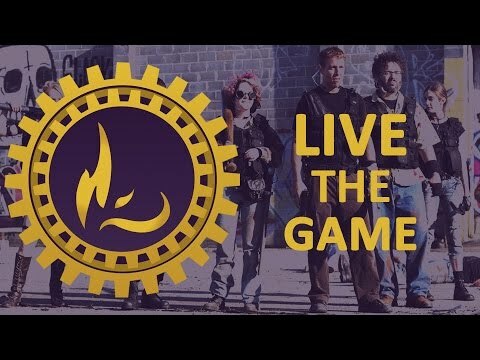 We are working toward a system that will allow Live Action Role Players (LARP), laser tag enthusiasts, and video gamers to play in the ultimate melee game. Follow our journey by checking out our news page and signing up for our newsletter. Find and connect with us on Facebook, Google +, and Twitter. Our Daemon Platform will track your live action game stats on your smart phone! Your hit points and status effects are instantly tracked in our app, so you are free to play without needing to keep stats in your head. SpellSlingers is a mobile game that makes wizard duels possible in a real world setting. Cast spells at your friends and enemies in this backyard augmented reality game for your phone. Tales of the Wanderer is our first live action role play (LARP) game that features our hardware and software capabilities! Fight with a sword or wand and live in a world of magic and adventure. We’ve got one cool Head Writer!